A targeted nationwide supermarket sampling road-show. Across the key summer months, Elevate took Schweppes on the road on a supermarket roadshow where we visited hundreds of Tesco, Sainsbury’s and Waitrose stores throughout the UK. 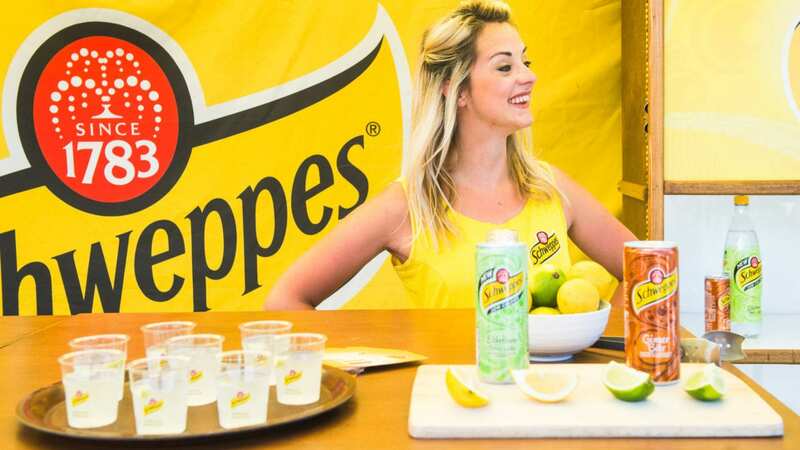 For the launch of the new re-branded Schweppes beverages, we deployed core teams of staff to manage the roadshow in experiential space outside of supermarkets, managing everything from stock up-lift, logistics, sampling and coupon redemption. Ensuring consistency in staffing and immaculate representation of this Coca-Coal brand was paramount when selecting our teams. We also ensured that the shortlist of staff were logistically minded and keen problem solvers, who were used to being on the road and managing large-scale tours of a similar elk. Elevate also implemented an extensive mystery shopping program to run along side this activation, to ensure that every sample distributed was to the Coca-Cola “perfect serve” standard, and that staffing and performance was consistent throughout. Building on Elevate’s Coca-Cola staffing legacy, we continue to deliver the highest level of staffing and quality control to some of the worlds most prominent brands.